The new Switch MOD 2 Series takes the very best from the Switch Series and custom tailors it to fit the needs of our shooters. We eliminated the 12 o'clock picatinny section and replaced it with open vents. This gives a more streamlined appearance to the rail, but more importantly, allows the shooter to utilize the smaller diameter of the rail to manipulate the weapon more effectively. The vents allow better airflow from the barrel and helps eliminate heat buildup and allows the end user to run longer and cooler with this setup. Rest assured, we still left a small section for back up iron sights. We also added M-LOK sections up front that gives you flexibility and freedom to run your light solutions. No more need for purchasing additional off-set light mounts. Mount it directly on the rail and go. The 13.8" length is very intentional. This will work with even most direct thread suppressors on a 14.5" barrel. The gap will be very minimal and the look - well, amazing. The Fortis SWITCH™ series is an extremely lightweight, yet robust free float rail system designed for the AR platform. 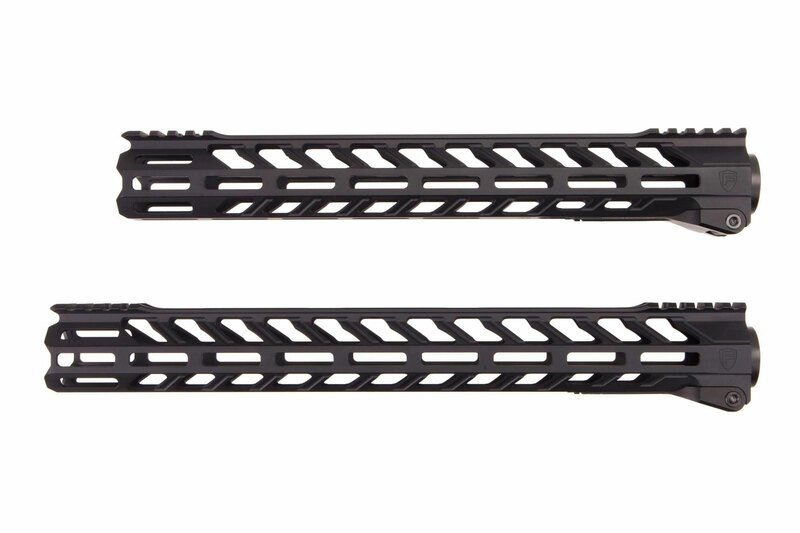 When designing the SWITCH™, we wanted a handguard that was easy to install, but also be able to quickly change rails for a variety of mission or competition specific setups. The rail features a brand new patent pending locking mechanism that allows tool-less removal of the rail. The rail design not only looks great, but is very functional in your hand. The piece adds minimal weight to the rifle and you won't be disappointed! 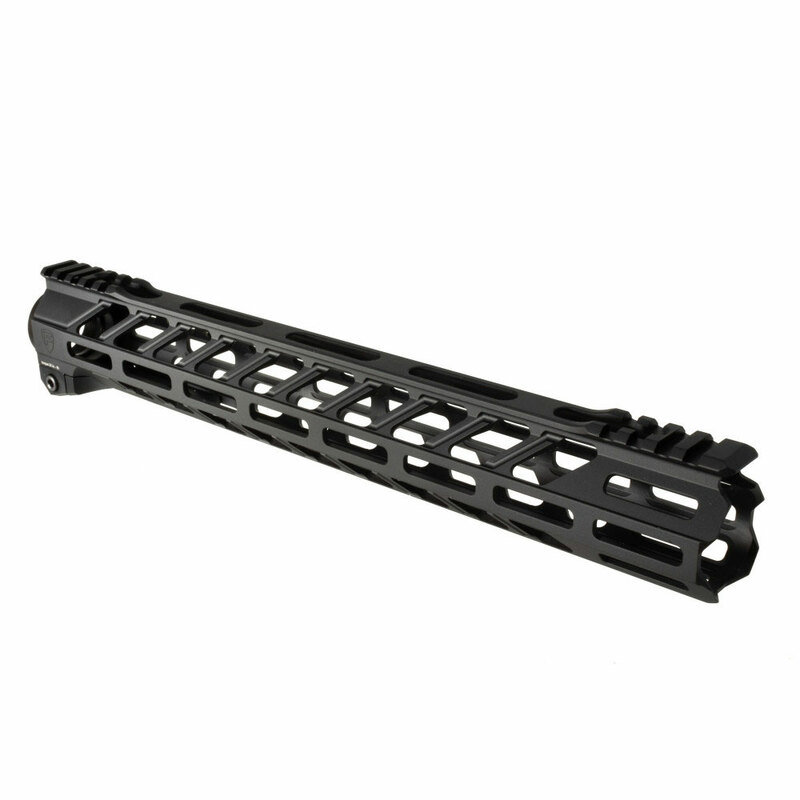 AR Parts & Accessories > Quad Rails & Handguards > 12 in. AR Parts & Accessories > Quad Rails & Handguards > 15 in.